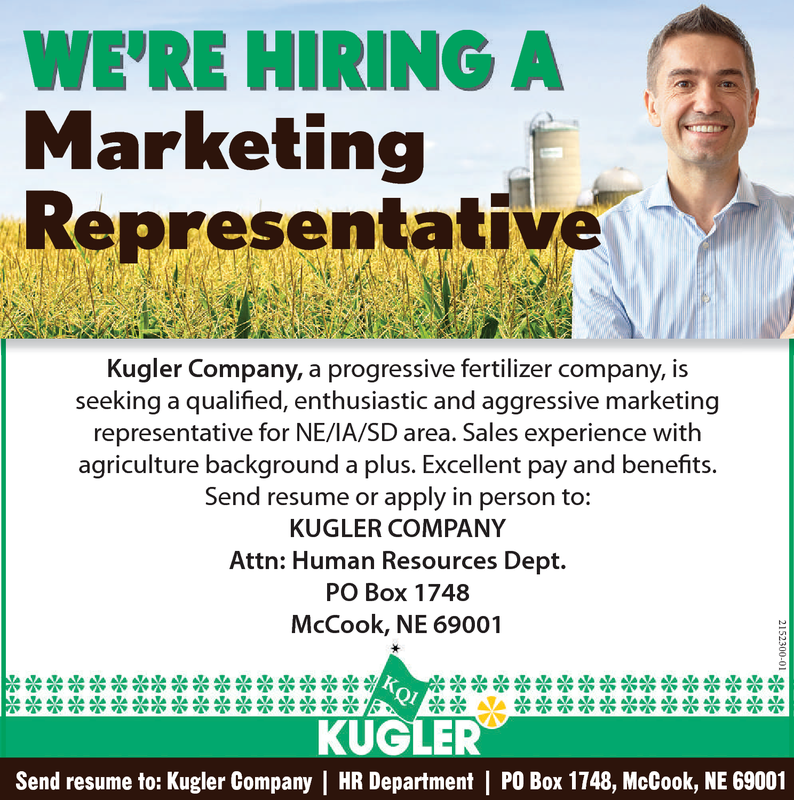 Kugler Company, a progressive fertilizer company, is seeking a qualified, enthusiastic and aggressive marketing representative for NE/IA/SD area. Sales experience with agriculture background a plus. Excellent pay and benefits.